Sometimes we need to adjust the definition of our morals. What are our morals? Our ethics? It’s what we believe is right. But, what is right? Is anything truly right? It may be right for you at that moment. It might be right for someone else but doesn’t ring true for you. Our morals and ethics boil down to what we believe to be true and are part of our values. Our values are what we think, or believe, are important. Our beliefs are flexible, mutable and shiftable. They are adjustable. As we move through life, meeting & communicating with more people, we have the opportunity to shift our beliefs, or our morals ethics and values. For instance, in some cultures and some homes, it is morally right to remove your shoes when you walk into the front door, in the foyer. It is believed it is the right thing to do. In others, you are to remove your shoes before you walk through the front door. Which is right? Is one wrong? Which do you believe to be true? Do your friends, neighbors and family feel the same way? Has it changed over the years? Why is it accepted to keep your shoes on in public buildings? It is claimed it’s for safety. Is it safer? Many ashrams, which are public, ask you to remove your shoes. They are not worried about safety. They ask you to do it for respect and cleanliness. Are ashrams right and your office building is wrong? Or vice versa? I remember growing up, my mom insisted we remove our shoes when we entered the home to keep it clean. She valued cleanliness. Now my mom doesn’t care if you leave your shoes on. She still likes a clean home, but no longer thinks taking your shoes off is the only right thing to do. She even leaves her shoes on, because it makes her feet feel better. I tend to wobble back and forth with my own home. I still believe it will keep the home cleaner, but to me I would prefer someone feel comfortable in my home, and some people feel more comfortable leaving their shoes on. And I’m okay with that. I also like to be barefoot, but I have to agree, at times, my feet feel better when I’m walking around in my Birkenstocks outside or inside. This same philosophy can be applied to deeper and more challenging ideas. Ask questions of yourself. Ask yourself what you believe to be true and decide whether or not you need to change your morals either based on where you are physically, mentally, emotionally and spiritually. Are you right? Is the other person right? Does someone else have another belief completely different? Is this person right, then? Who are you with? Does this make a difference in what you believe? Where are you? Does this make a difference? Does another point of view based on similar or different circumstances or people feel better to you? Because we have the power to change ourselves, it give us the power to change our beliefs. Remember, they are flexible and shiftable. So they can change based on the person you are with or the situation you are in. They are mutable, which gives you the ability to flow with whatever feels right to you at that time. And, if it feels right to you at that time, you can begin to see if it feels right in other future situations. Perhaps you will find you have changed your belief. Perhaps you find your belief is not as stringent as you once thought. Perhaps you may find you have completely changed your attitude. Perhaps you will find you have awakened to the aspect that you are not always right and someone else is not always wrong. Questioning morals allows you to recognize where you are on your path is right for you at this time, and if someone else is in a different space, it is currently right for them, just different than you. Our morals are a wonderful way to see differences in others, and accept them for what they are – differences. No right. No wrong. Just different. Giving ourselves the freedom to adjust the definition of our morals, ethics and values allows us the incredible flexibility to be open to all situations and experiences. This in turn lets us see them from a different perspective and viewpoint to once again see if we either need to change our beliefs or have already done so in some way. It allows us to be in the flow of life, as well as, be the flow. 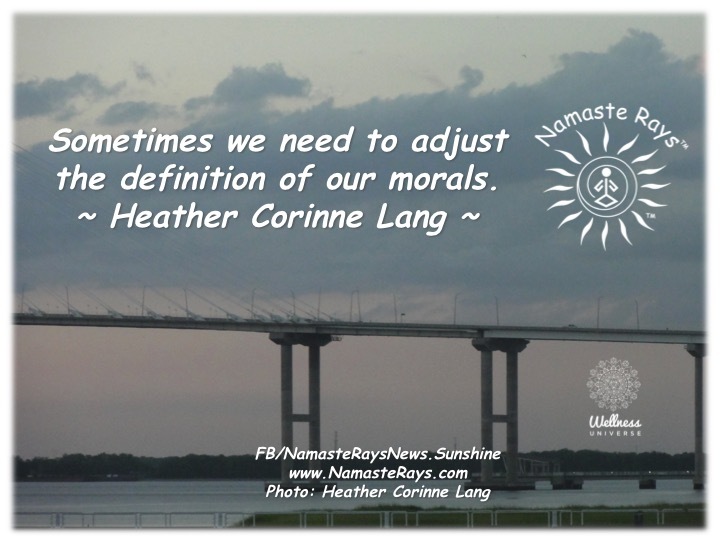 May you give yourself the flexibility to adjust the definition of your morals. 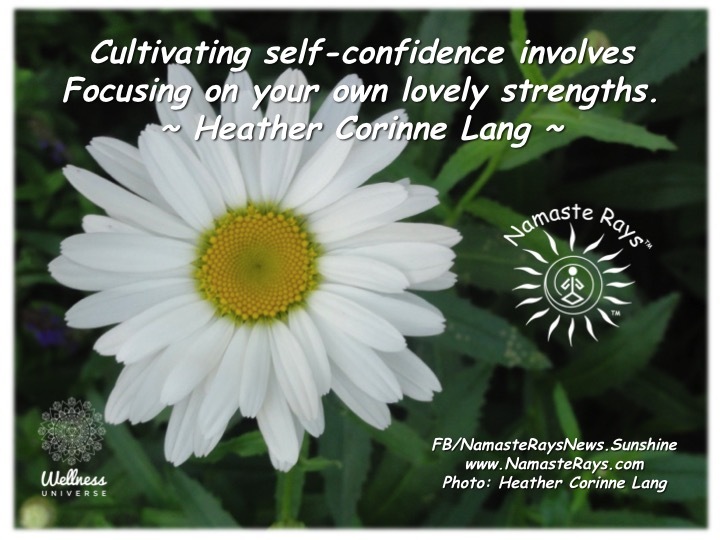 Cultivating self-confidence involves focusing on your own lovely strengths. Comparing ourselves to others is a fruitless endeavor. We are all uniquely blessed with our own special abilities. Comparing leads us to be focusing on other people’s gifts versus our own. We then may use judgement, perhaps perceiving someone else as better or has something we do not. It is okay to admire another’s gifts, just not covet them. We need to completely understand we each have very unique talents, gifts or abilities of our own. When we change our focus to look at our passions – basically, what we love to do – we can discover our remarkable individual brilliance. Once we understand that our passions are part of our inherent gifts, it brings us to the realization of our own unique contribution in the world. It allows us to see the wonder of our own special abilities. We can work on accepting our gifts to help strengthen them. This helps us to shine our special light in the world, sharing what we were born to do, and helping others in our special way. When we recognize and work with the gifts and talents we have been blessed with, focusing on strengthening them, it provides the self-confidence to shine our beauty & light, in whatever creative ways are best for each of us. Self-confidence is knowing and sharing exactly what is special about ourselves. It’s wholeheartedly believing in ourself and our gifts. It’s is also keeping an open mind to learning new techniques or lessons, while truly having the faith that we can make our dreams come true. When I was growing up, I always wanted to help others in some way. I would help multiple people in multiple ways. 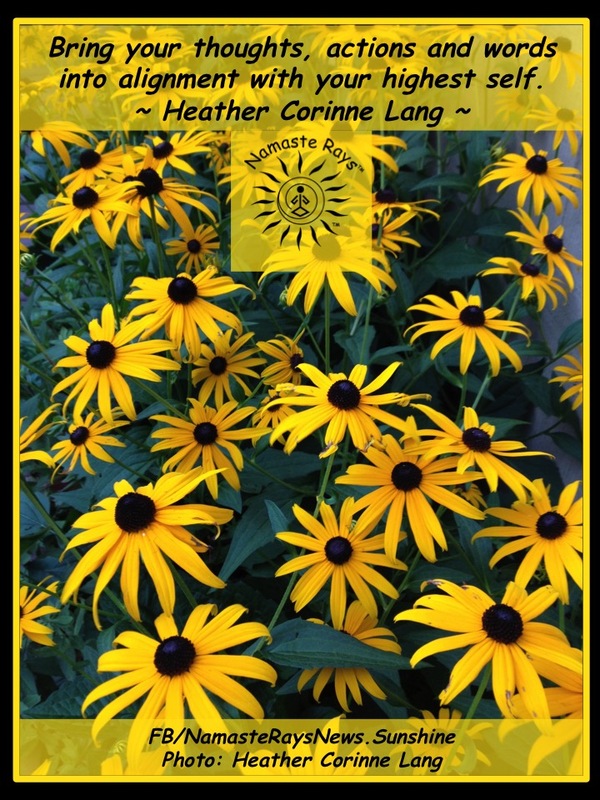 It is when I worked at healing from being co-dependent and a people-pleaser that I found my path. This was my unique path to helping others heal themselves and find their true life mission and path. Health & wellness is my passion for mind, body & soul. I learned from others and self-taught myself in many areas from healthy eating to soul balance & spirituality to manifestation and more. Yoga has been a wonderful way for me to learn while helping others, yet it was when someone asked me to take Reiki classes that it all clicked HOW I would live my passion. I was already writing newsletters and posts about how I felt and what I learned and leading yoga classes but it dawned on me that through expanding into Reiki Energy, I could really help others heal themselves. My inherent gifts of intuition and psychic abilities are part of my uniqueness in what I do and how I do it, coupled with the healing work I did while finding my path. Recently I added in Akashic Record Readings which can help someone go even deeper into the energy work and I can incorporate it into my sessions if needed or desired. Sometimes it’s a matter of already knowing what we are meant to do, and sometimes it’s diving deeper into our life experiences and passions. Either way, our unique gift needs to be discovered and shared as they are part of our soul life mission! Therefore, I’m working on creating my own thriving business by sharing what I’ve learned, providing the energy and offering the messages as they occur to me. My self-confidence has come through as more people have asked for my help and as I strengthen the abilities I have through providing the help, energy & messages. And, as my clients provide feedback, it helps reinforce what I’m doing is needed. If you need assistance finding your passion, your gifts and your soul life mission, I’d be de-LIGHT-ed to assist you! Discernment is about recognizing and pursuing which of the endless and infinite possibilities are for your highest good. In the Divine realm, there are endless and infinite possibilities. When we recognize this and are open to receiving them, we must also understand not all of these possibilities are best for our growth. Discernment is the tool we need to strengthen and use to help us understand our true life path and choose the wisest opportunities for our soul’s growth. Discernment is a feeling, and those feelings come from our intuition, which is our Higher Soul talking to us, guiding us to the best decisions. It’s removing the ego, and allowing our inner light being to connect with our consciousness to hear the messages. It’s removing guilt, shame, fear and anger to comprehend what’s in our best interests, and not those of others. Discernment is using our knowledge, wisdom, strength, courage and power to make the best choice for our passions, gifts and life journey. Discernment includes being aware of those individuals in our life who are loving and supporting us, no matter what. It is understanding who is helping us with true integrity. Discernment allows us to determine who is guiding us in our best interests, who is loyal, who is truthful and who is showing compassion. It then helps us remove anyone who is not for our highest good. This helps us surround ourselves with the right people for our journey. Discernment also helps us recognize the lessons we are meant to learn, versus lessons of others. It keeps us from wrapping ourselves up in other people’s issues and dramas. It provides us the necessary information to help those who are seeking out our help, versus choosing to use us in some way. This in turn helps us focus on ourselves, while helping others, which is very important in growing, learning and gaining the wisdom we need to continue on our path. In our lives we will continually need to use discernment as we change, as those around us change and as new people and opportunities present themselves. The more we use it, the easier it will become to call upon it without effort. Discernment removes the ego and allows our souls to guide us, and this is always in our best interests. We are able to sift through those endless possibilities, infinite opportunities and people to choose the ones which resonate with our current vibration. 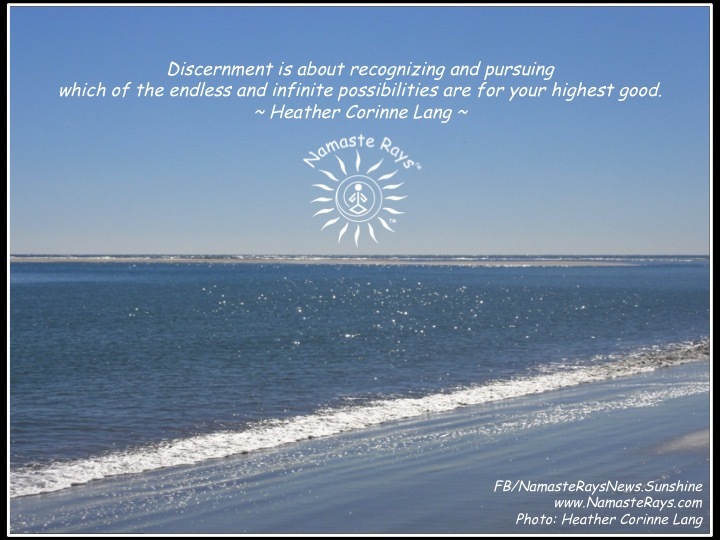 Discernment is helping us remove judgement, using our intuition to move more fully into our spiritual path. If you would like help on your spiritual journey, please contact me for a consultation or appointment. 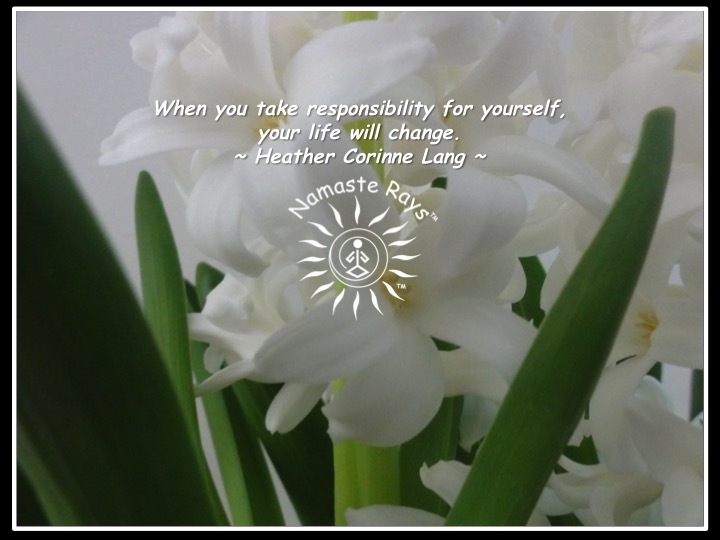 When you take responsibility for yourself, your life will change. Many of us are just “going through the motions” of every day life. We are doing what is expected of us, versus what’s truly in our best interests. From jobs to family, we are following the patterns of our ancestors. We may feel as if we are being “the adult” or “being responsible”, but are we? Are we doing what is needed only, without doing what we truly desire? 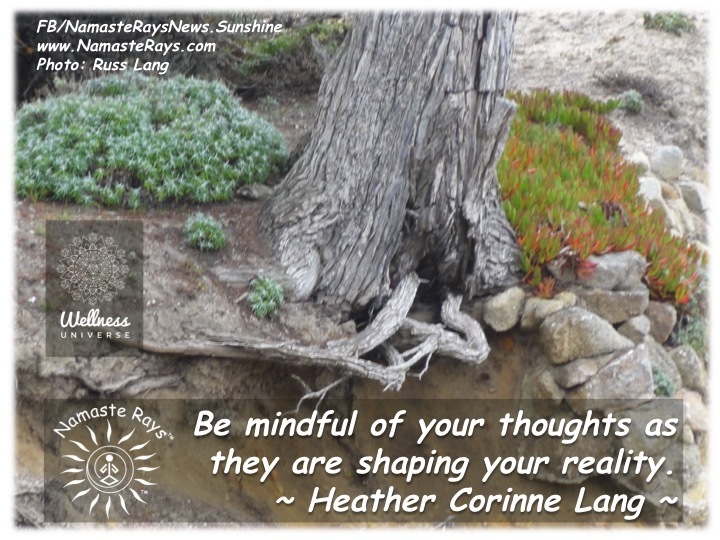 Are we blaming others for our unease, discomfort, imbalance or unhappiness? Then we are not taking responsibility for ourselves. Yes, the bills may need to be paid, but if we are paying the bills with money earned in a job we don’t like, then we are unhappy and this is similar to blaming another for our unhappiness. We can take responsibility for ourselves in this situation by changing our attitude or changing our job. By changing one or the other, we are starting to take responsibility. We can see things more clearly. We can begin to discover what we would rather be doing to earn income. We can look for those avenues and follow them. The path will lead where ever the most energy is placed, and if we put that energy into ourselves, then our life will change. That’s what the path is all about – taking responsibility for ourselves and doing what we are truly meant to be doing because that is our passion. And, then, it’s not work…it’s living our passion. How do we take that responsibility? First, it’s important to uncover your sources of unhappiness and why they are there. This is looking within you. Signs and signals include how you feel in any given situation with any person. Taking offense at something someone says about you, being defensive or sulking about and not speaking your truth. Speaking your truth is not being defensive. It is simply stating your beliefs, and moving on. Next you can ask yourself what makes you uncomfortable, imbalanced, uneasy and so forth…and why? Does it make you uncomfortable to be around someone who appears stronger than you? More beautiful? More loving? Why do you feel this way? You can continue asking yourself in each situation what you truly feel deep within to reveal your issues. This is awareness of the issue. Once you have revealed them to yourself, you can accept them, remembering acceptance isn’t agreeing, it’s accepting what is so you can adjust it, or change it. Changing it requires inner work and understanding of why you feel that way. Perhaps you feel as if you need to be right all the time. Why? Were you punished when you were wrong as a child? Were you made to feel inadequate? Were you not allowed to tell the truth of how you really felt? Any of these scenarios can cause us to react in a poor manner towards ourselves or others when faced with a similar situation. Accepting this is the reason why, it can be changed by changing your thinking. “No one is perfect.”; “No one can tell me how I should be feeling.”; “I’m worthy of respect, honor and love.”; or many other statements repeated as often as you can. This is taking responsibility for yourself and not allowing another who is having their own issues to affect you in a manner that is harmful to you. Continuing this positive line of thinking with positive affirmations, intentions and statements throughout the day will help you to transform. Awareness. Acceptance. Adjustment. Just follow those Three-A’s to help yourself transform! May you take responsibility for yourself and live your passion.